This purple poppy will brighten up your garden and produce fantastic seeds for baking. 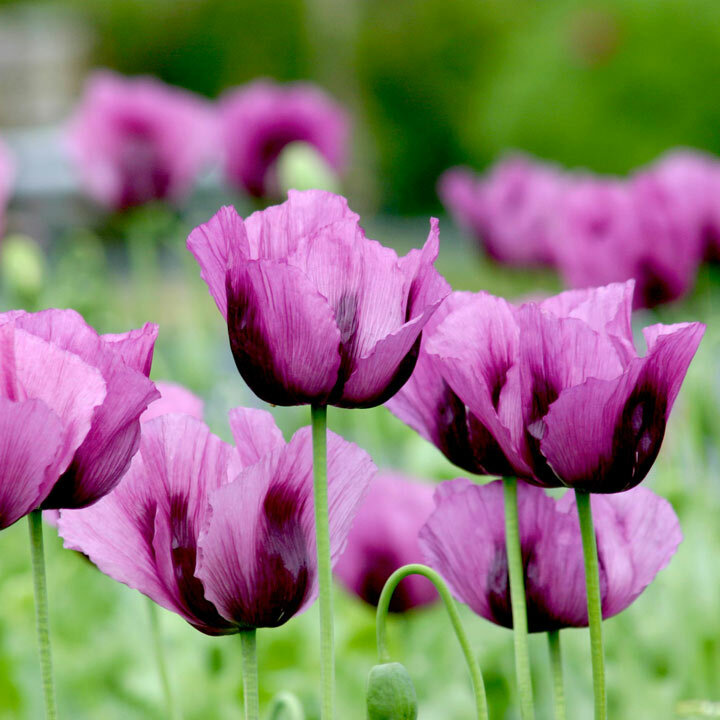 The tulip-like blooms are an eye-catching shade of purple and when it’s time to get baking, the seeds are perfect. The BEST poppy for seed production! Hungarian Blue flowers profusely, before the seed pods swell to form generous amounts of edible poppy seeds, perfect for baking and culinary use). Impressive 60-90cm tall plants with beautiful, tulip-like blooms in mauve and purple and silvery-blue foliage. Flowers June-September. Height 60-70cm (24-27"); spread 20-30cm (8-12"). Poppy seeds are best sown in spring or autumn where they are to grow. Sow thinly onto weed-free soil with a fine tilth and gently rake the seed in. Keep moist and weed-free until seedlings are large enough to thin to 30cm spacings.